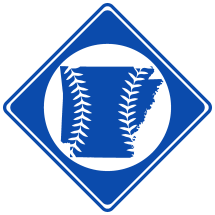 Leonard Ester "Percy" Hinton , born August, 16th, 1890 in Buckner, AR, was a professional baseball player in 1913. He attended the University of Arkansas. Hinton with Cleveland in 1913. Hinton was a four-year football star at the University of Arkansas, playing center and tackle (1). In 1913, Hinton was signed by the Cleveland Naps and sent to play with Waterbury and Nashville.